Recent years have shown a variety of therapeutic approaches in advanced stages of chronic kidney disease and end-stage renal disease to fail to improve outcomes. Renal replacement therapy, while life-saving, has seen very little advances during the last two decades. Some investigators believe that in patients undergoing chronic renal replacement therapy, kidney disease and most importantly cardiovascular comorbidities have progressed past the point where any intervention can improve outcomes. Thus, the focus has shifted to very early stages of chronic kidney disease, which we hope to identify with new biomarkers. Those biomarkers could be of importance in defining a new disease, or at least a new stage of disease. 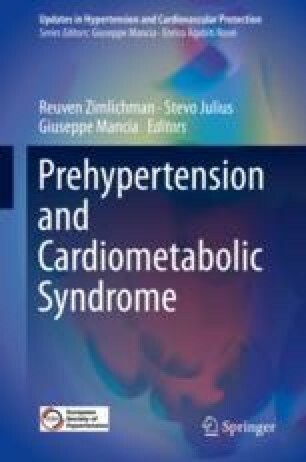 It is common practice in other areas of medicine, where pre-stages like “prehypertension” and “prediabetes” are well known and defined entities that may entail therapeutic interventions and the definition of these pre-stages may thus improve outcomes. Whether “pre-CKD” can be accurately defined, and whether the detection of pre-CKD could provide a benefit to individuals in terms of early detection and intervention leading to a better survival is topic of this review.